Fresh snowfall on Tuesday February 10 included 15cm (six inches) at Montgenèvre and 10cm (Four inches) at Val Thorens. Val d'Allos 1800 la Foux currently claims the greatest snow depth in France with 360cm (12 feet) of snow lying on upper slopes. "We have not seen a 360cm snow depth since the winter of 1975. On the night of Friday, February 6th alone we received another metre of snow. 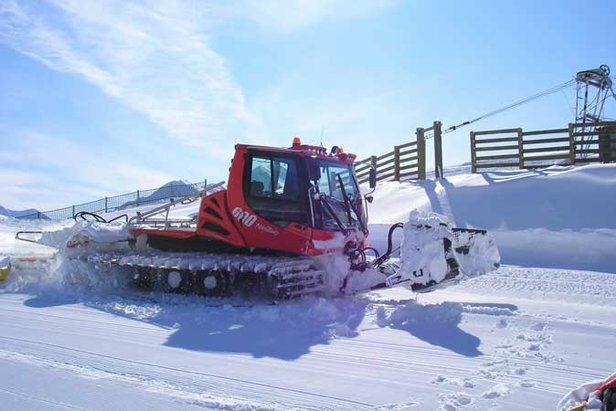 These very big snowfalls require a lot of work clearing the snow and through January we have spent 120,000 Euros just on snow clearing in the resort. This quantity of snow means the avalanche risk off-piste is very high at level 4 on a scale up to a maximum of 5. "